This low level access multi unit allows younger children enjoy climbing, scrambling and sliding features simultaneously. The inclusion of stairs with handrails develops all areas of a child’s coordination and agility, particularly the upper and lower body strength. The tower and play house allows for a rest area. 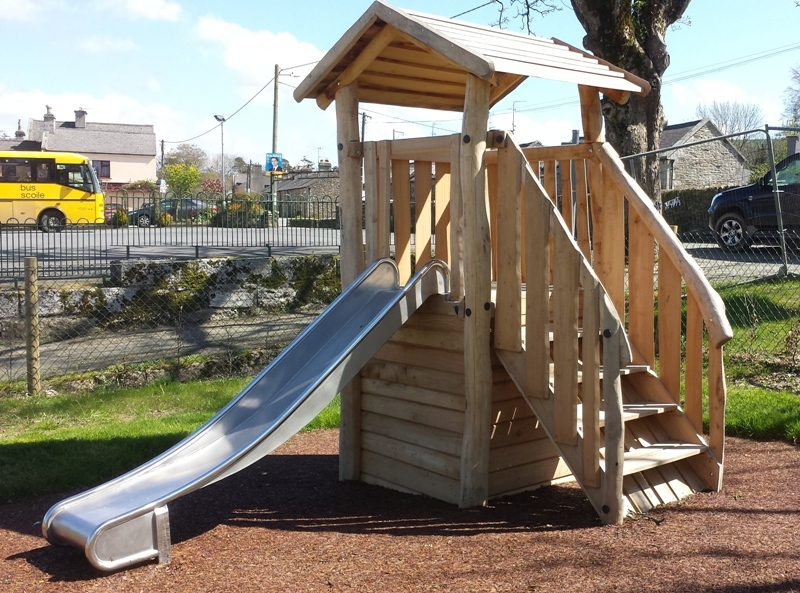 The slide is always a popular play item, encouraging adventure and daring in a safe and controlled environment.